The Scholarship Foundation of St. Louis opens doors to postsecondary education for those who otherwise would not have the financial means to fulfill their educational goals. We are privileged to help as they fulfill this important mission. Through the years, StratCommRx has provided crisis communications planning, media relations, strategic counsel, and public engagement for the organization. When the board of directors made the difficult but necessary decision to close the ScholarShop, StratCommRx worked with staff leadership and the board to plan communication with their various audiences, including employees, donors, shoppers, the media, and online followers. 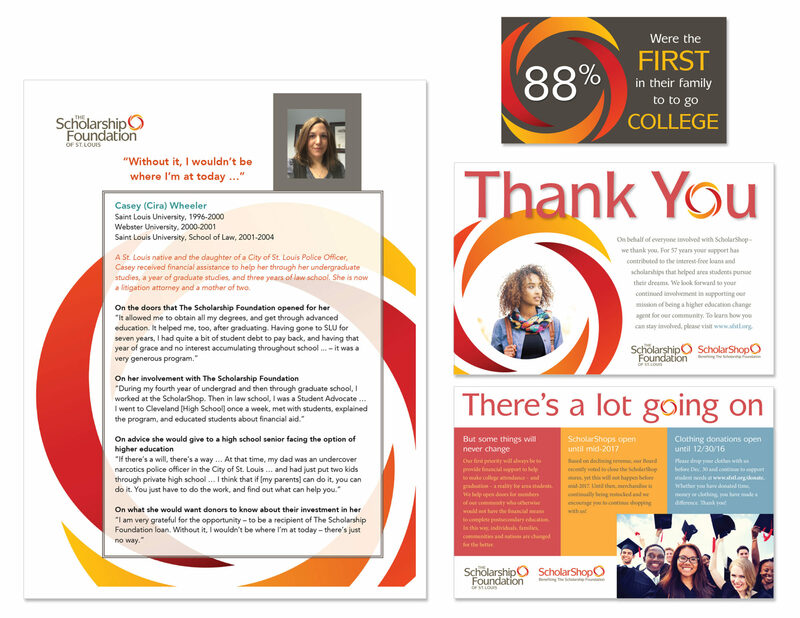 Ongoing engagement took the form of a storybanking project, created to highlight scholarship or grant recipients and demonstrate the power of access to higher education.